For more photos please see my Facebook page. Or, for all of the photos please visit the Kodak Gallery. If you need a password, just e-mail me at my personal address or use the form. I don't post my personal address online due to security. 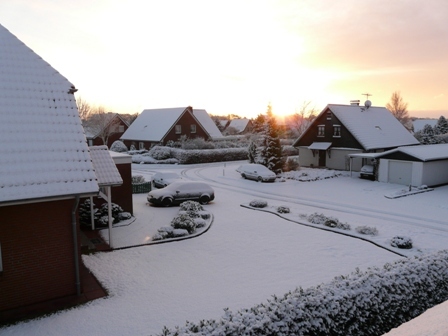 At right: View out of the front window over our little village in Germany. To go to the website with all of the GOUGE on it about joining the Navy as an Officer, Officer Candidate School "OCS", Aviation Preflight Indoctrination "API" a.k.a. AOCS, primary, intermediate and advanced Navy flight school, flying the T-34C, the Bell 206 Jet Ranger a.k.a. TH-57, the SH-60 Seahawk helicopter, going to the Language School a.k.a. Defense Language Institute or DLI, or the Navy's Personnel Exchange Program "PEP", click here. 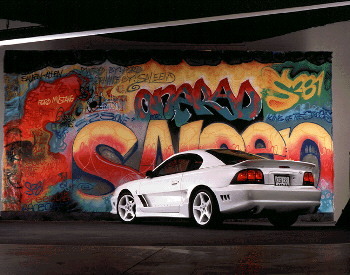 In 1998 I posted a page here about what a Saleen Mustang is, how you can identify if one is real or not, and what some of the unique factory-production varieties exist. Since it is viewed over a million times a month I have kept it updated and would appreciate it if you would send me updates as well. Please send me an email if you notice something that is not true or any piece of data that is obsolete. Unfortunately in 2001 I had to sell the car. 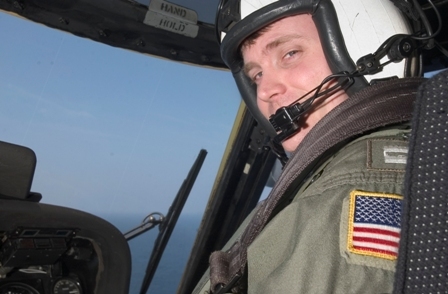 Before joining the Navy I worked up to the job of a Product Manager. During this time from 1999 through 2002 I copied and pasted information from magazines, emails from friends in the industry and from Metacrawler searches into a webpage about what being a Product manager is like. By now this webpage has been copied and plagiarized so many times it is unbelievable. Since so many people e-mail me for details on this subject, I kept it online. I hope to get into this field again after the Navy forces me to go. In 2001 I enlisted in the U.S. Navy. All of the "working for dot-coms sitting at the computer all day" fat that accumulated began to take it's toll about three weeks before I was to report to OCS. Even running every day, hundreds of sit ups and pushups didn't prepare me for that. After OCS that fat started to build up again while at API "working at a stash job sitting at the computer all day". I devised a very successful nutrition plan for myself; an amalgam of inputs from various books on how to enjoy being thin while staying strong. A few friends noticed the differences and asked for a copy. Basically it states nothing about exercise; that is up to you. It is my interpretation of what food does to your body and some simple rules that will simplify your life and eliminate the need for dieting. It could also save you some money. Enjoy.